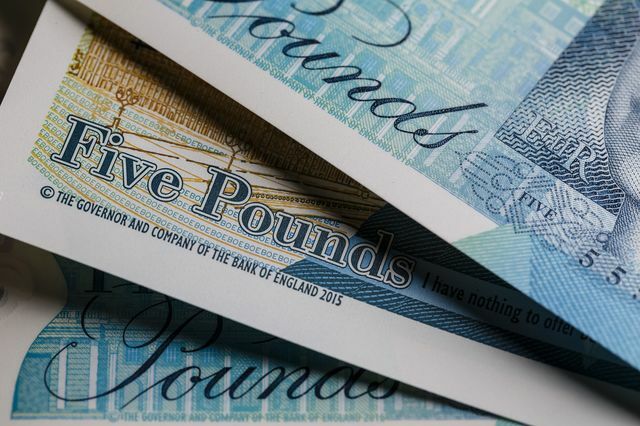 The pound fell against all major currencies as U.K. Prime Minister Theresa May’s comments over the weekend stoked fears that the U.K. will lose access to Europe’s single market. Sterling fell 0.9 percent against the dollar to 1.2174 by 8:47 a.m. in London, the weakest since October. Leaving the European Union will be about “getting the right relationship, not about keeping bits of membership,” May said in a Sky News interview on Sunday. 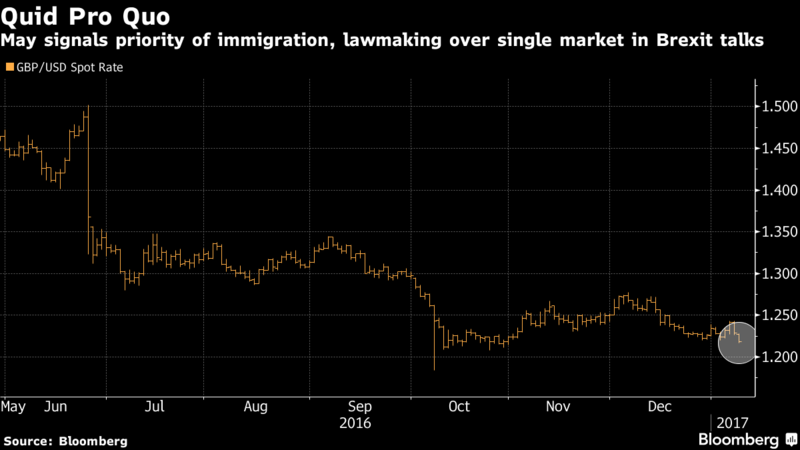 “She signaled once again that the aim of controlling immigration was a red line she would not be willing to cross,” said Esther Reichelt, a currency strategist at Commerzbank AG in Frankfurt. “That means that following Brexit the country is likely to lose access to the single market,” she said, adding that until the government finally presents a concrete and convincing strategy, market participants will increasingly fear a disaster.